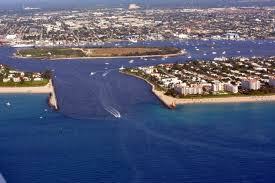 Palm Beach County real estate sits in the largest county in the state of Florida. With its rapidly growing population and wealthy coastal towns, it’s home to almost 2 million people, 38 municipalities and 474,175 households, making it the third most populous county in the state. Let Real Estate of Florida add you as another pleased family who lives in this elegant area! Palm Beach County is comprised of well-known beach towns and metropolitan areas like West Palm Beach, nicknamed Orchid City; Boca Raton, a City for All Seasons; Boynton Beach; Jupiter; Palm Beach Gardens; and Wellington. It’s the wealthiest county in Florida! Do you like to ride horses, attend polo matches or golf on the weekends? 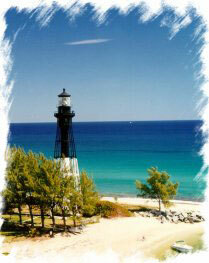 Palm Beach County is the place to live! Wellington is its equestrian mecca, and it’s one of the world’s most renowned area for polo, jumping and dressage horseback riding. Each year, Wellington hosts both the National Horse Show and the Winter Equestrian Festival, the largest and longest running horse show in the world, offering some of the largest purses in all of show jumping. Palm Beach County offers more than 10 gorgeous, emerald green golf courses and golf resorts. And the city of Palm Beach is home to The Honda Classic PGA Tour golf tournament that’s been played each March since 1972. Players come from all over the world to participate in this tournament. Palm Beach County real estate is surrounded by cultural, educational, theatrical and interactive fun like the Kravis Center for the Performing Arts, the Norton Museum of Art and professional sports games. Palm Beach County houses the American Basketball Association, the Jupiter Hammerheads, the Florida Marlins and the Palm Beach Cardinals. Looking for more family fun? Have you ever been to the South Florida Fair? 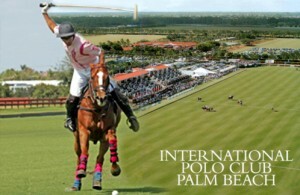 If you live in Palm Beach County, you could go every year! Nearly 500,000 people attend this annual 17-day event. One of the greatest aspects of the fair is its agricultural and livestock exhibits. Agriculture is a tremendous part of Palm Beach County’s economy, so this allows school children and visitors to be exposed to a calf’s birth, dairy operation, etc. Lion Country Safari, in Loxahatchee, is Florida’s only drive-through safari and walk-through amusement park where you can see more than 900 animals in their natural settings. Experience animal encounters, six rides, shopping and more! If you live in Palm Beach County, you can hop in the car after feeling like you’re in the middle of East Africa, and take your family to the Rapids Water Park or the Everglades National Park!